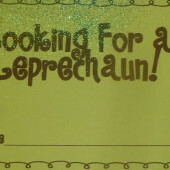 For the last 13 years I have done a Looking for a Leprechaun Activity during March! 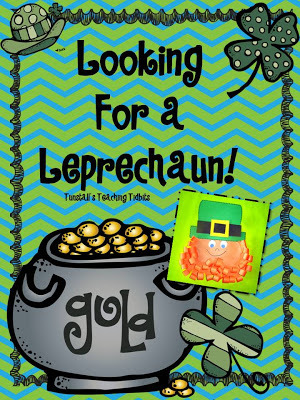 I plan to do this Thursday to kick off March but sometimes I wait for a week of read alouds about tricky leprechauns!! When the students enter they will see that someone has messed up our room leaving their footprints and magical green dust and coins in a trail! I make the footprints go up walls…loop de loop on the board, my chair, some student desks, the math tubs, and everywhere else I can make them go. The footprints finally end where the first clue is hung. 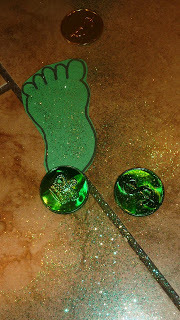 Directions, clues, footprints, activities and the leprechaun craft are all included!!! ($3) I get the coins and treasures at the dollar store and I use my Halloween pot. 🙂 They never know! At the end the students do not catch the leprechaun so they make the one included!!! 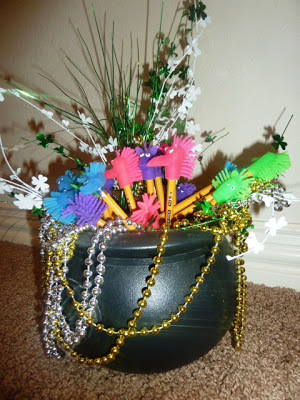 For all their hard work and clue following, the leprechaun has left them a pot o’ treasures! Good luck hunting for your Leprechaun!!!! This is so cute!!! How fun for your kids!! How do you make your footprints? I use the side of my hand, then my thumb…pinky, pinky for the toes. My teaching partner uses a potato…she carves to look like a footprint. Always makes for an interesting conversation amongst the kiddos…our leprechaun just happens to always be bigger than Mrs. S's…HA! I'm just hoping nobody pees in the toilet before seeing and sharing with the class that the toilet water is GREEN. Every. Single. Year. It's. BLUE! OY!!!!!!! There is a footprint template included. We have a die cut of a foot. This looks so super fun!! LOVE this!! 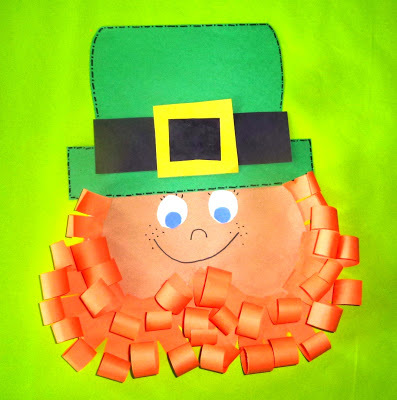 Super cute leprechaun, too!! I have done something similar in my room, but the leprechauns leave green milk and green donuts for the children. (I only do this on or the closest day to St. Patrick's Day.) It's amazing what stories their imaginations come up with from this experience. I usually get the best creative writing stories. I like the idea of doing this for a few days. My students will love this!!! So super cute!!! 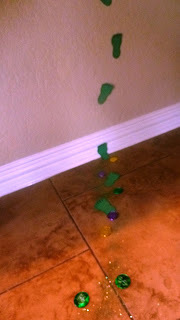 That leprechaun must have already been in my house this morning cuz it's a mess!!!! teehee!!!! Last year I took an action figure from the castle recess toys and stamped his feet in green ink and then I stamped it all over their papers and desks and folders….and then I put him in my desk….because the ink wouldn't come off! So I made up a lie about how he must have moved away because his castle was too messy!!! Nothing like masking your mistakes with lies and guilt for others!!! !Ahh the joys of teaching! once again you have me GREEN with jealousleeeeeeeee because I teach talls adn you teach littles!!!! we need to set up a meet up date FO SHO!!! 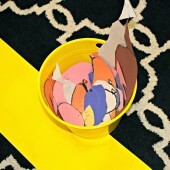 Love all these ideas, especially the surprise pot of gold at the end! I will definitely have to try this one! Thank you for all your great ideas! I am in LOVE with your blog. Just discovered you on Pinterest. 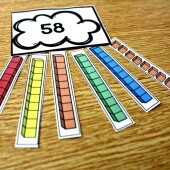 Do you have any recommendations on lesson resources I can use for my 4 1/2 year old? I am a stay at home mom and feel lost when it comes to teaching him at home. He is in school three days a week but I know I could be doing so much more for him at home. I just need a few ideas! 🙂 Are all of your lessons geared toward 1st grade?